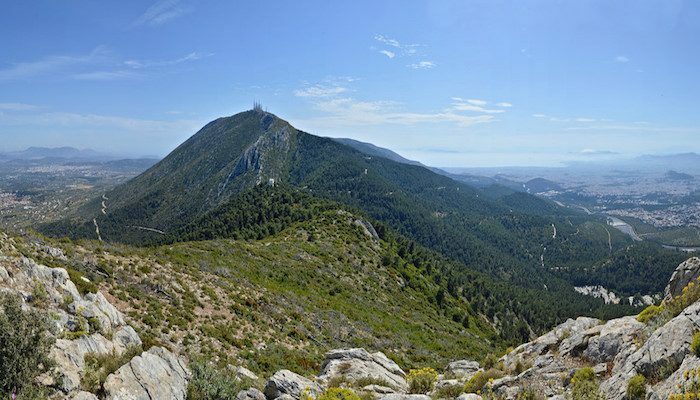 Also known as Hymettus, this mountain, 18 km from Athens, is a favorite for runners. It has an elevation of 1,000 meters. The mountain is covered with a beautiful pine forest and has many attractions: historic monasteries, impressive caves, clearly marked footpaths, unsurfaced forest roads barred to traffic which are ideal for mountain biking and trail running. There is a road without too much traffic, as well as numerous trails. There are great views of the city. The University of Athens and the Technical University are located on the western facing slopes. Ymittos has a great variety in levels of difficulty for runners at all stages, ranging from steeper slopes to hills and flat trails, with a variety of surface conditions. It is impossible to recommend a specific route. We should also mention that this is more of a hiking and biking destination, and for trail running. whoah this blog is fantastic i love reading your posts. Stay up the good paintings! You know, lots of persons are searching around for this information, you could aid them greatly. I love what you fellows are up to. Such clever work and reporting! Keep up the excellent work guys, I’ve you blogroll. Some genuinely nice and utilitarian info on this internet site, besides I believe the style has wonderful features. After examine just a few of the weblog posts in your website now, and I actually like your means of blogging. I bookmarked it to my bookmark website record and shall be checking back soon. Pls check out my website online as effectively and let me know what you think. I used to be suggested this website by way of my cousin. I’m no longer sure whether this post is written by way of him as no one else realize such certain approximately my trouble. You are incredible! Thank you! require a lot of work? I am completely new to running a blog but I do write in my journal everyday.